Okay, so i've been dribbling over this laptop all day, perving on blogs/websites/ebay ..Ebay is a serious obession, but its healthy right? to get a bargain? I'm just not patient enough to like audition it; its the 'buy it now' i'm finding addictive. 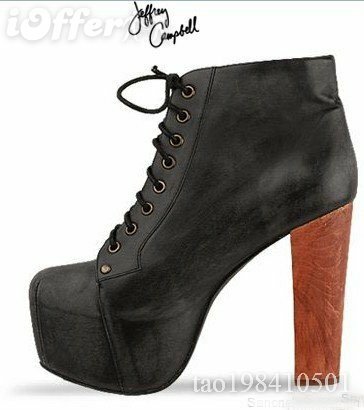 Jeffrey Campbell shoes. Need i say more? Motel have a range, other then that, its the annoyances of working out dollars in comparison to pounds. I have picked a pair in which i literally feel i need to have in my life else i will be in a bad mood forever and ever. P.S I feel this 'blog' needs a tidy up. There will be some changes within the next month, but in the meantime, I'll leave you to perv on thiswith this bad boy. I've never wanted a pair of shoes more in my life.